This heavy duty plastic transfer bench by Drive Medical is built extra strong capable of withstanding a weight capacity of 500 pounds. It easily accommodates any bathroom because of its reversible bench and extension legs with extra large suction cups that lock to provide added versatility and safety. The "Dual Column" extension legs height adjust in 1/2" increments. 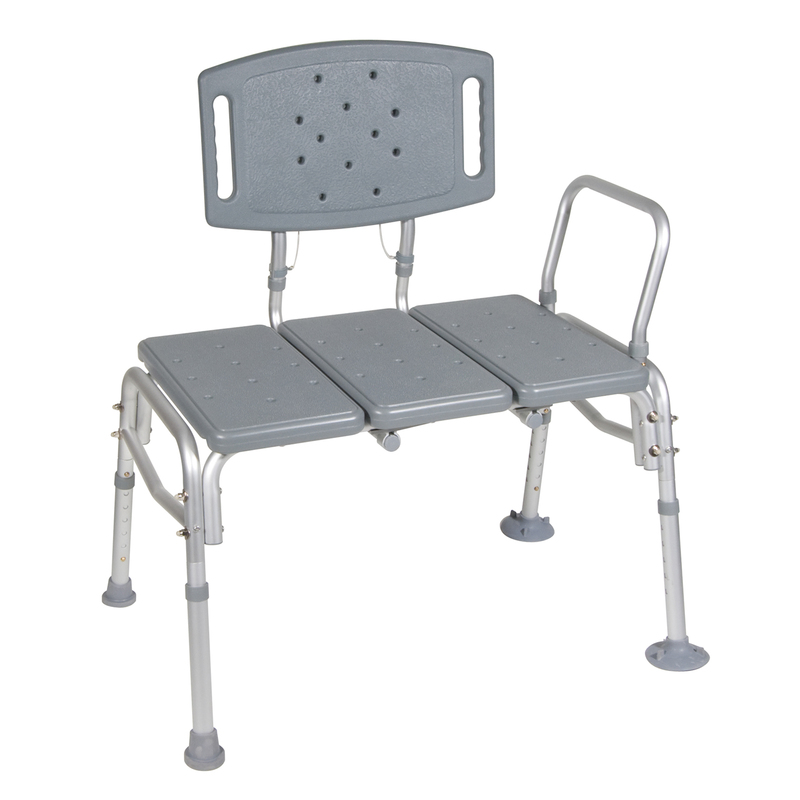 Sturdy "A" frame construction durable blow-molded plastic bench and backrest ensure maximum stability. This products features tool-free assembly leaving no hardware exposed.